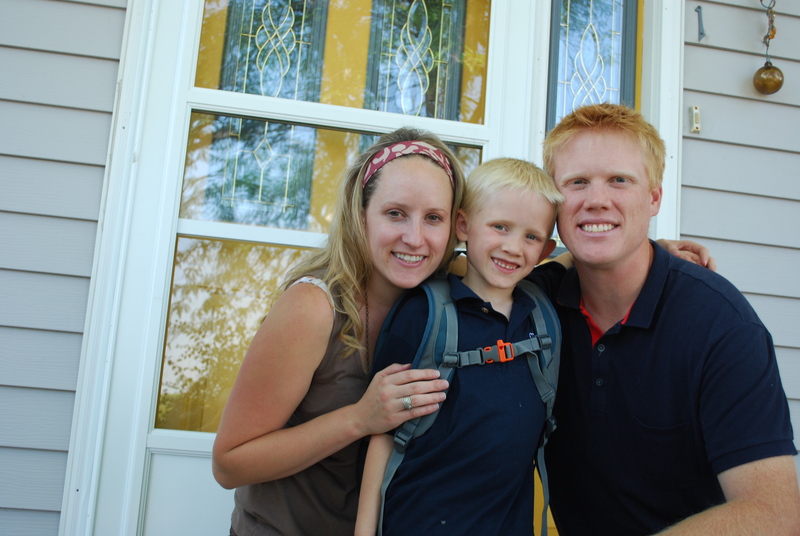 Our “baby” has his first day of kindergarten and our baby is a month old today. 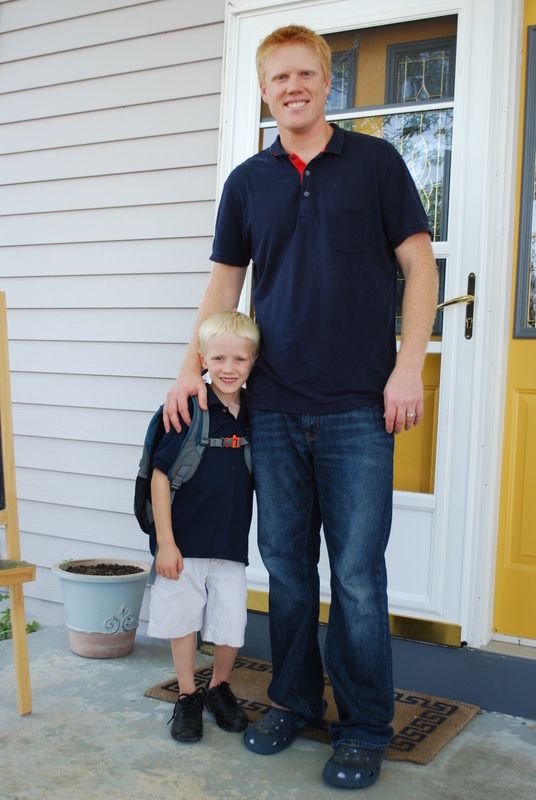 After much debate we finally decided to send Heston to a public charter school, that is half day. 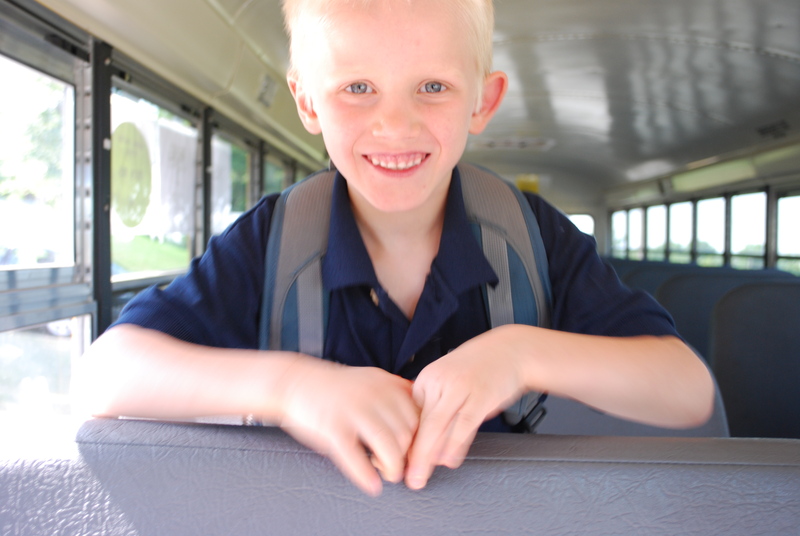 Uniform and all, we put him on the bus with the other kindergartners. 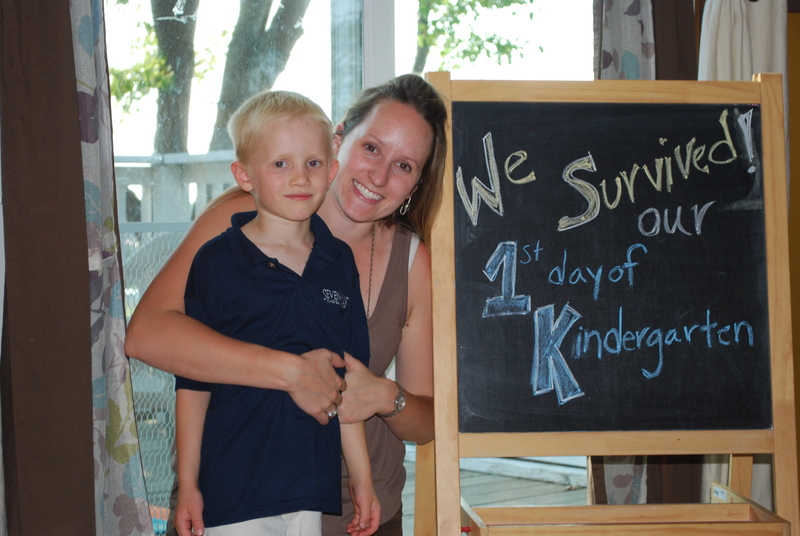 Yes, I did cry (not in front of him) and yes, I am somewhat excited to have him occupied a few hours of the day. I keep saying we can always pull him out but at the moment with a newborn and a summer of being home all day/everyday with me and Seth extremely busy at work, I am glad we aren’t homeschooling him this year. 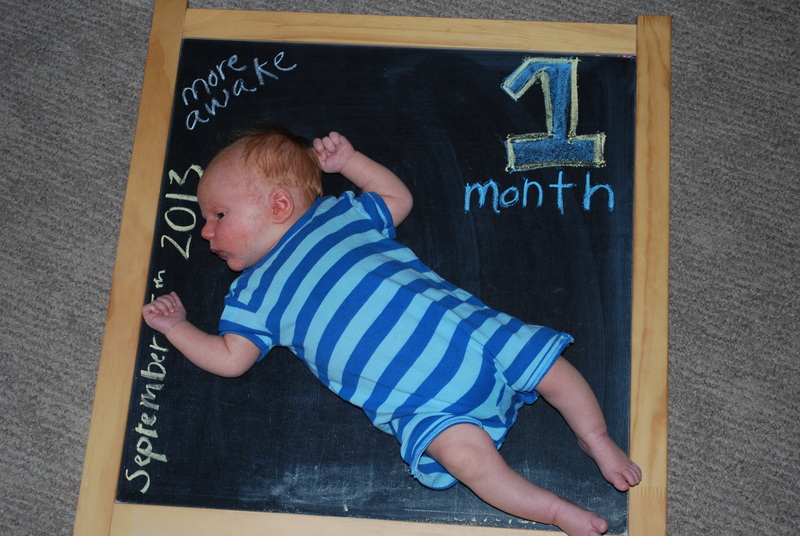 He is ready for some non-mom stimuli. 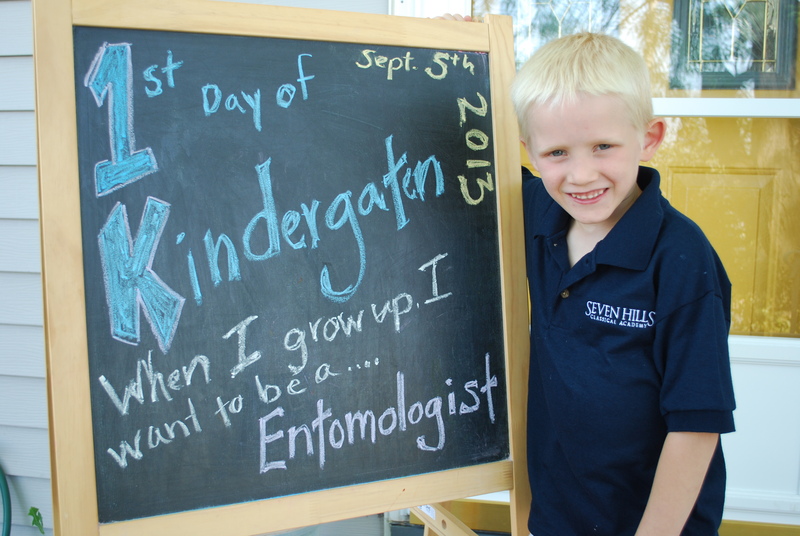 I asked Heston this morning what he wants to be when he gets older….”I don’t know…someone who takes care of insects and makes them better when they are hurt”…I will go with someone who studies insects, an entomologist. 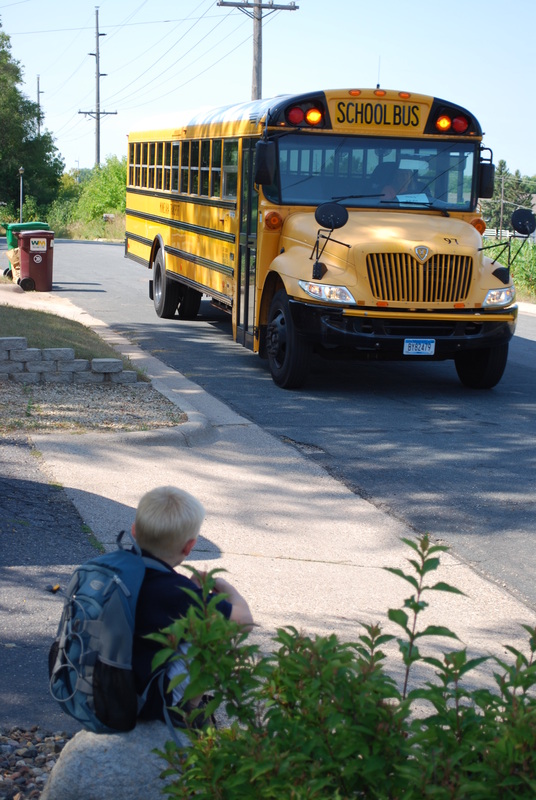 Proud Dad….who stayed with the other 3 kids so I could be the helicopter mom and follow the bus on the route to school. I actually lost it after a half hour on I35 through the road construction and met him there. Him and all the other 2 kids riding at noon ended up being a half hour late!!! But at the end of the day…I am smiling, yes- we did survive! 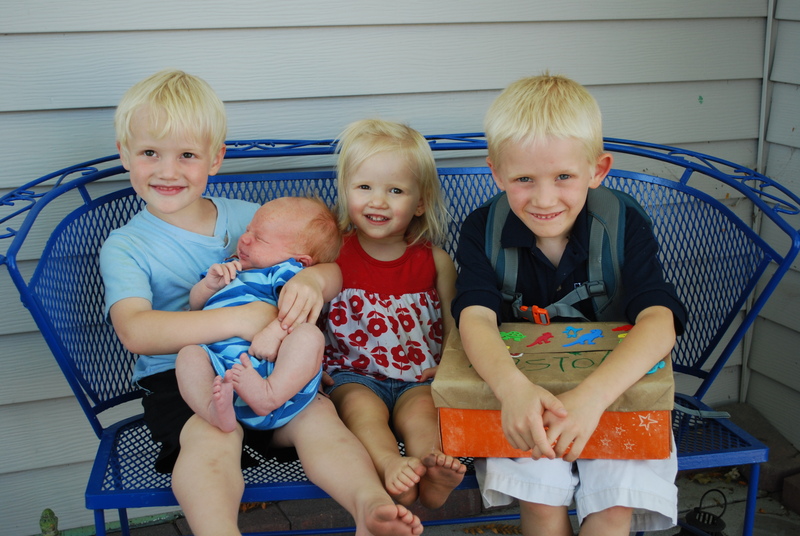 Another day and another adventure in the Hueckman world….. Hang in there, Momma. It gets easier!